F042: Chassis kit for Ducati 2 valves air-cooled engines. 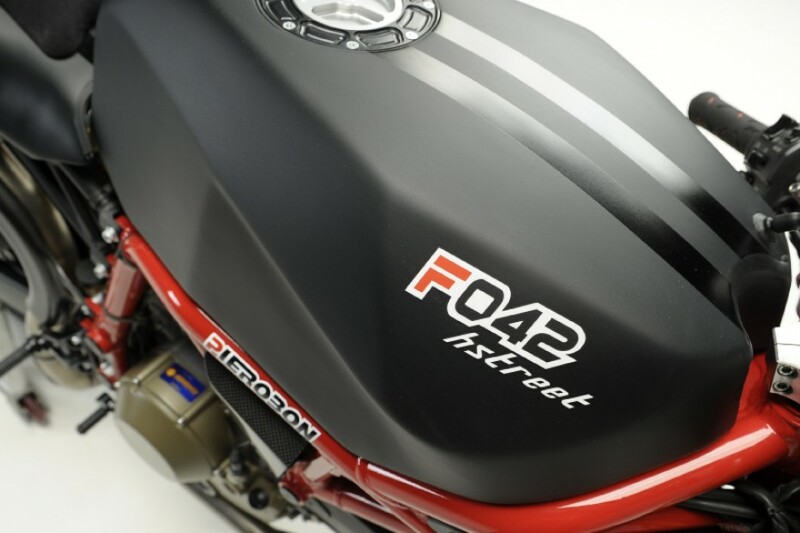 F042 is a Race chassis kit for Ducati 2 valves air-cooled engines. 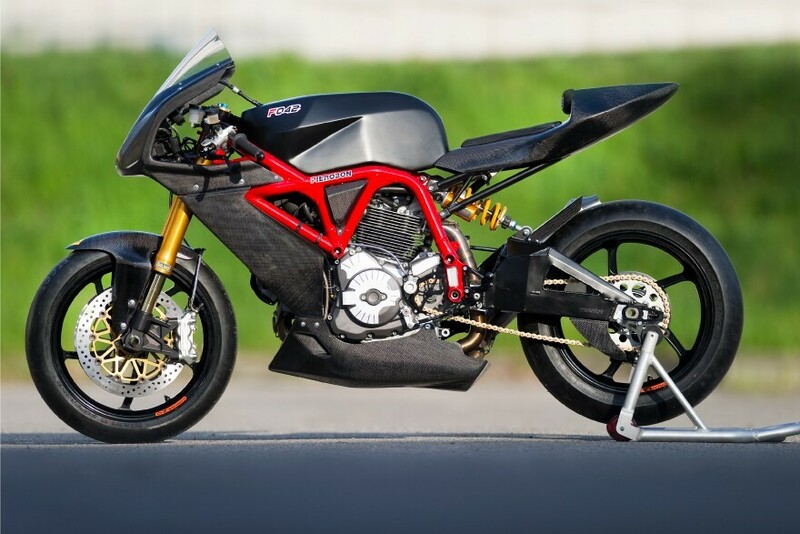 The kit is studied to build a racing bike replacing the original parts of a Ducati 2 valves motorcycle. 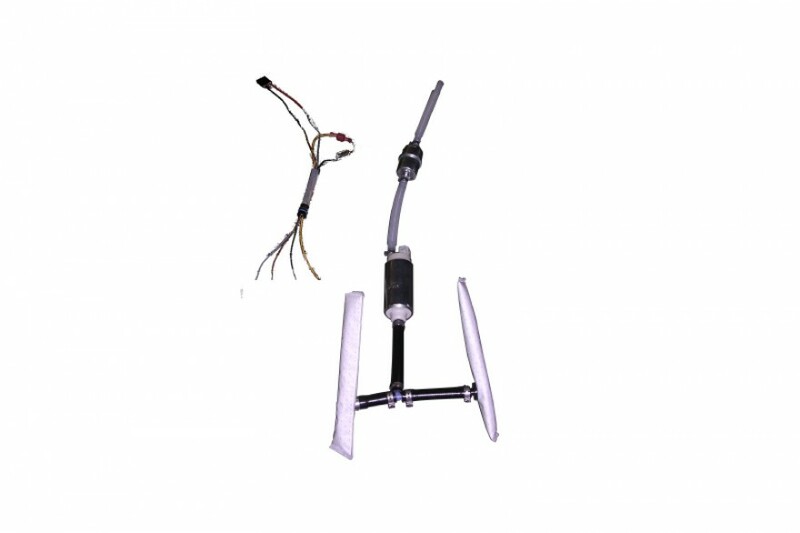 The main part of the kit is the frame, realized in aluminum alloy EN AW-7020, designed using modern technological processes. The frame is distinguished by its high technology and beauty, elected from MCN one of “The 101 coolest things in motorcycling”. This frame exalts the agility of the bike, delivers outstandingly agile and intuitive handling, offering a truly exhilarating ride. It’s possible to order the complete motorcyle or the kit, which together with other components, allow you to built your own bike. 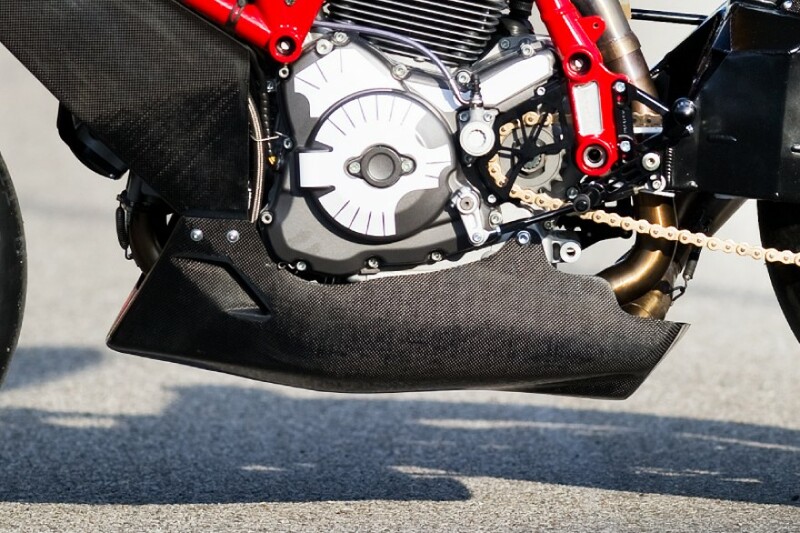 – swing arm, available in two versions: one derived from Supersport, one box-section swing arm derived from Motogp. 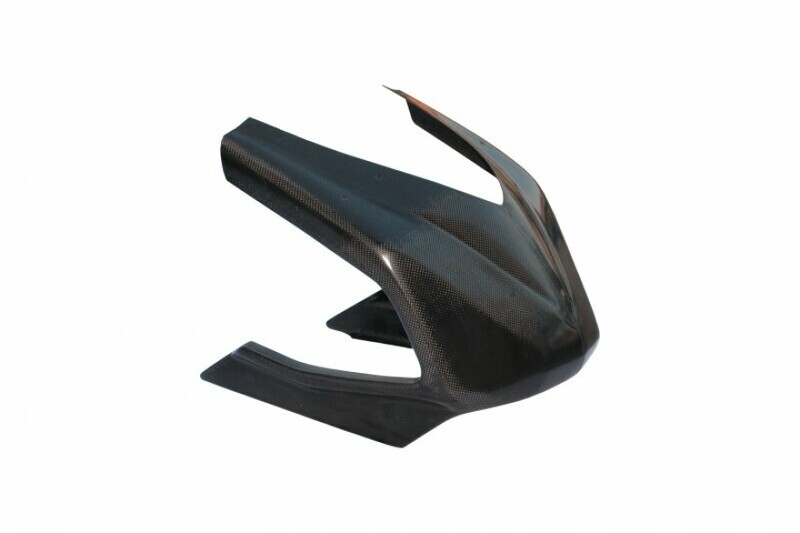 – bodywork: front body panel with windshield, lower fairing and rear body panel. Available in fiberglass or carbon fiber. 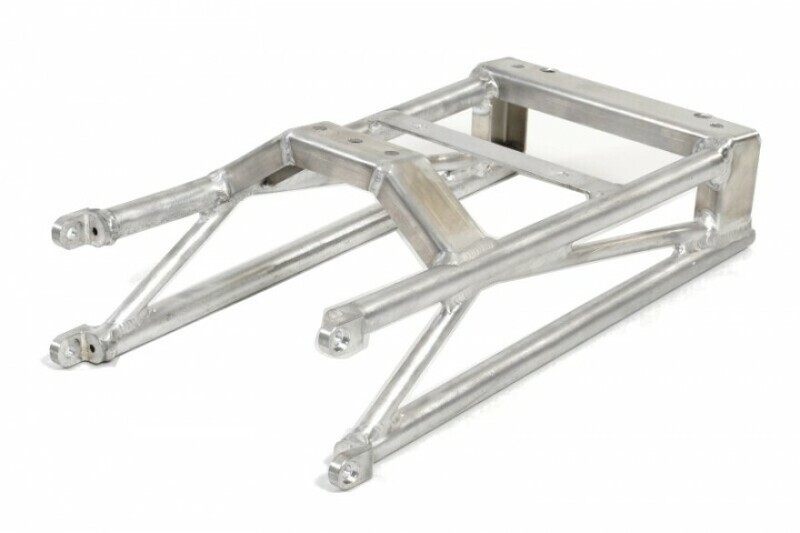 FRAME Trellis frame madein aluminium alloy EN AW-7020, weight 6,36 kg. 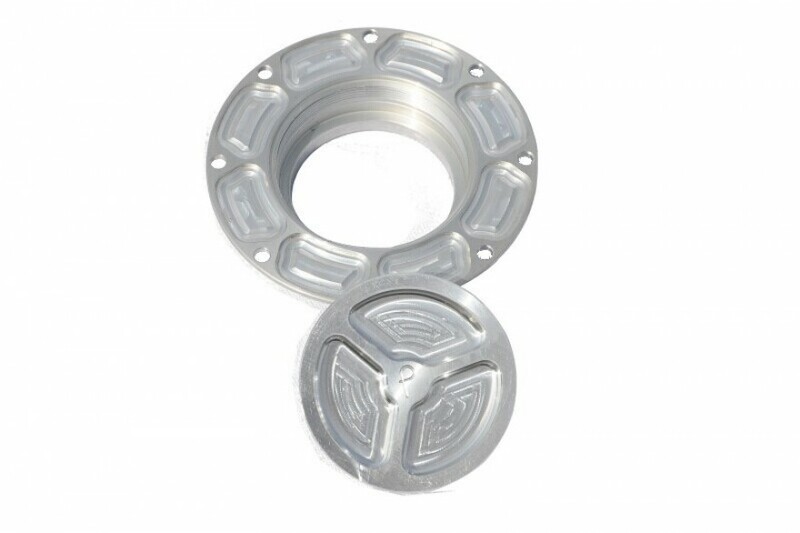 FRONT SUB FRAME In aluminium alloy EN AW-6082, for Ducati digital instrumentation. Weight 0,35 kg. 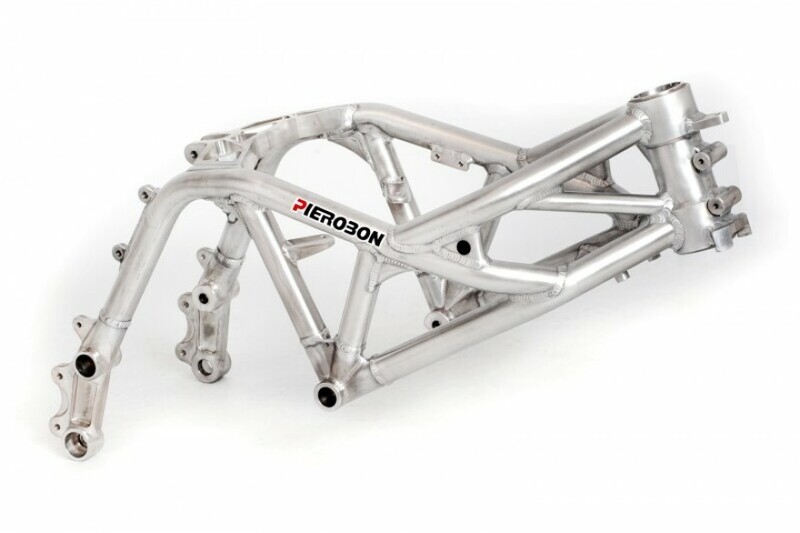 REAR SUB FRAME In aluminium alloy EN AW-6082, for Termignoni exhaust system. Weight 0,77 kg..
FUEL TANK Hand made in aluminum alloy Peralluman 450 (EN AW-5083) H111. Weight 3,61 kg. Capacity 16L. 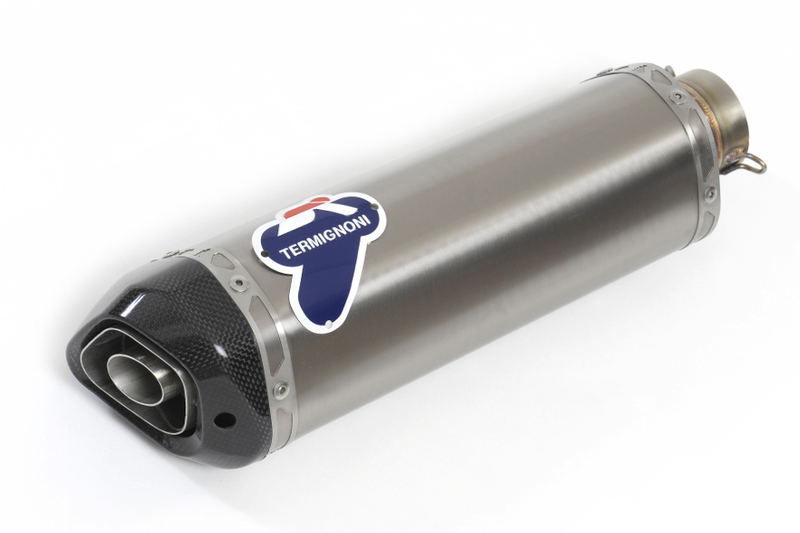 EXHAUST SYSTEM Pierobon stainless steel exhuast pipes and Termignoni carbon fiber and titanium exhuast silencer. “2-1” configuration, equipped with 2 lambda probes. FRONT SUSPENSION Ohlins 4790-01 L730 upside-down fully adjustable fork with radial caliper support. 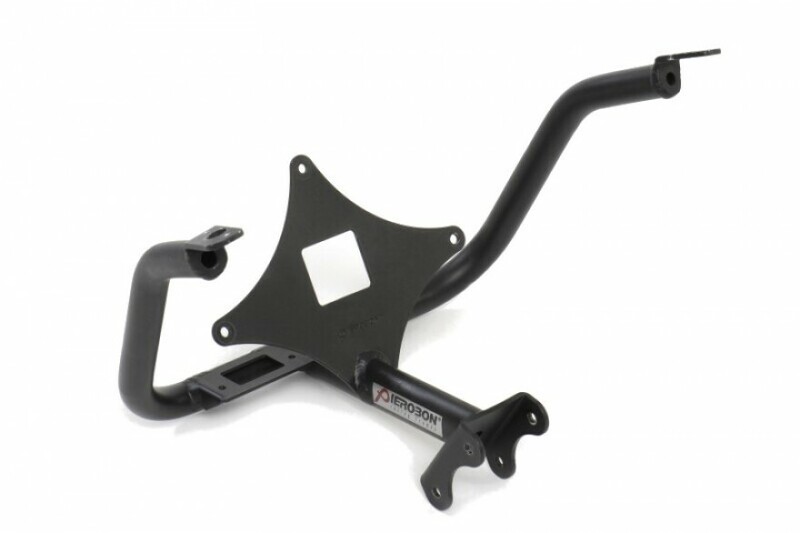 REAR SUSPENSION Progressive cantilever linkage with fully adjustable Öhlins DU 235 monoshock. 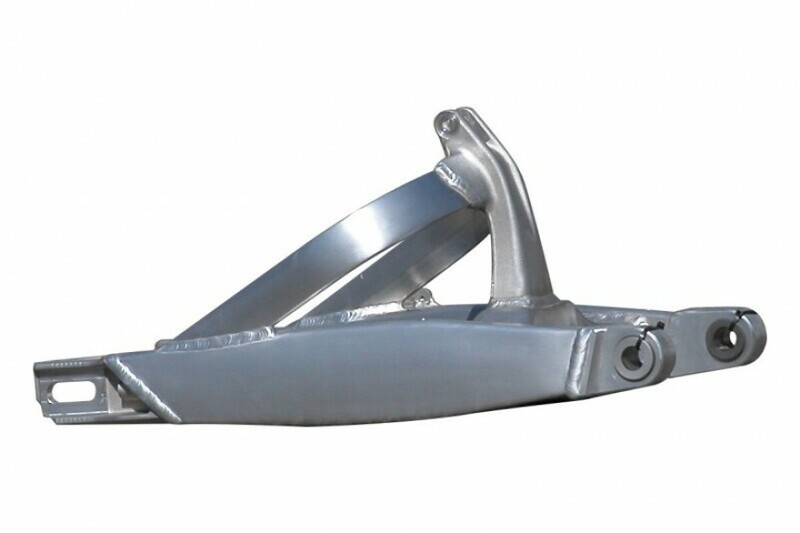 TRIPLE CLAMPS Pierobon triple clamp in aluminium EN AW-6082. Weight 1,34 kg. FRONT WHEEL OZ-Pierobon in aluminium 5 spoke 3,50 x 17. REAR WHEEL OZ-Pierobon in aluminuma 5 razze 5,50 x 17. FRONT TYRE Pirelli Diablo Superbike PRO 120/70 ZR 17. REAR TYRE Pirelli Diablo Superbike PRO 180/55 ZR 17. FRONT BRAKE 2x 305mm discs, radially mounted Brembo callipers 4-piston, 2-pad. REAR BRAKE 245 mm disc, single piston Brembo caliper. CONTROLS Pierobon handlebars in aluminium EN AW-6082. Weight 0,56 kg. Pierobon foot peg kit in aluminium EN AW-6082. Weight 0,52 kg. Brembo brake pump and lever. Brembo clutch pump and lever. BODYWORK Transparent plexiglass. 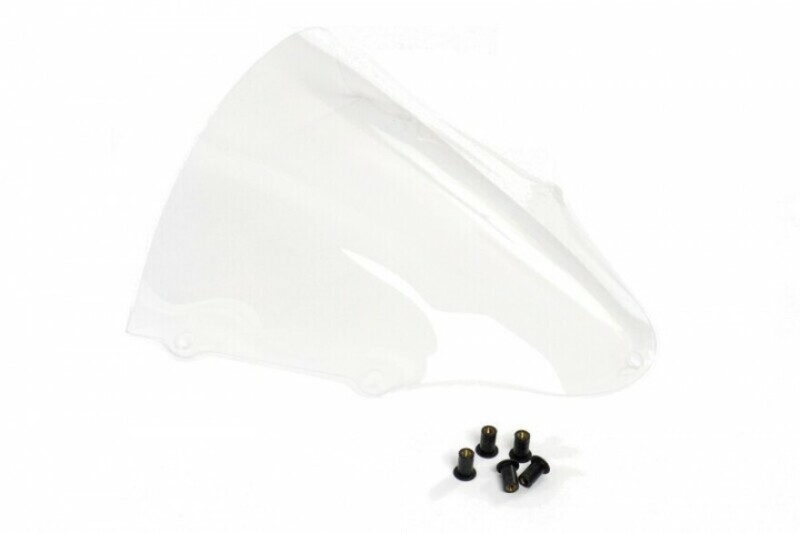 Made of 2,5 mm thick PMMA cast thermoformed acrylic. 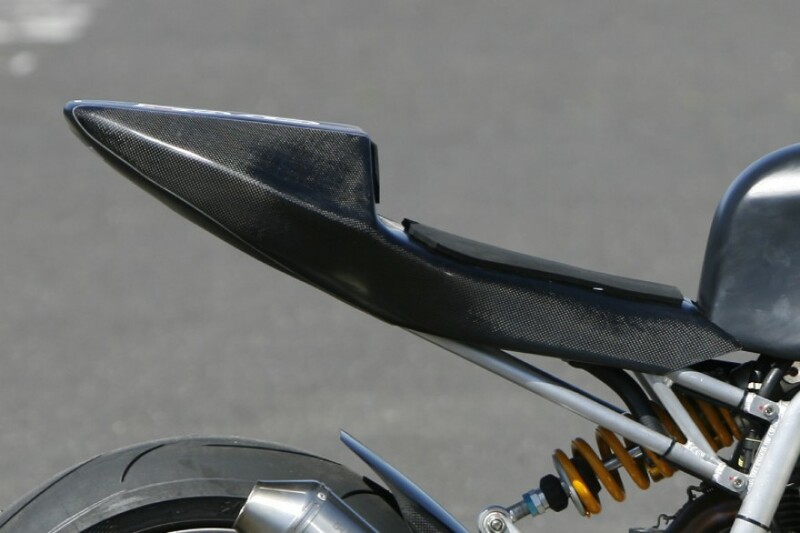 ACCESSORIES MotoGp seat with base in carbon fiber. Made of a 5mm layer of a high density special mousse. It guarantees a perfect grip. ELECTRIC SYSTEM Ducati wire cable system and digital instrumentation..
Swingarm, front and rear subframe NERO BURN OUT. Fuel tank NERO BURN OUT.